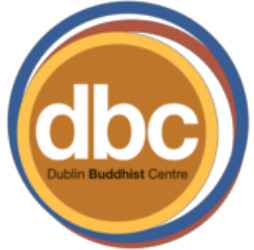 Dublin Buddhist Centre has been teaching courses in Buddhism, meditation and yoga in Dublin since 1990. Dublin Buddhist Centre is a not-for-profit charity. Buddhism is a path of practice and spiritual development leading to a liberating insight into the true nature of life. Courses in buddhism enable people to fulfill their deepest potential, and to develop the qualities of Wisdom and Compassion. Meditation courses at Dublin Buddhist Centre look at ways of developing both mindfulness and loving-kindness. These meditation techniques are simple but effective practices drawn from the Buddhist tradition, suitable for anyone to learn and do. At Dublin Buddhist Centre we also offer yoga courses and classes, which will have positive effects on your mind as well as your body. Yoga is a highly effective tool to help calm the mind and body and alleviate stress, leaving you more relaxed and content. For more information about courses in Buddhism, meditation and mindfulness, please contact Dublin Buddhist Centre using the details below on Nightcourses.com.